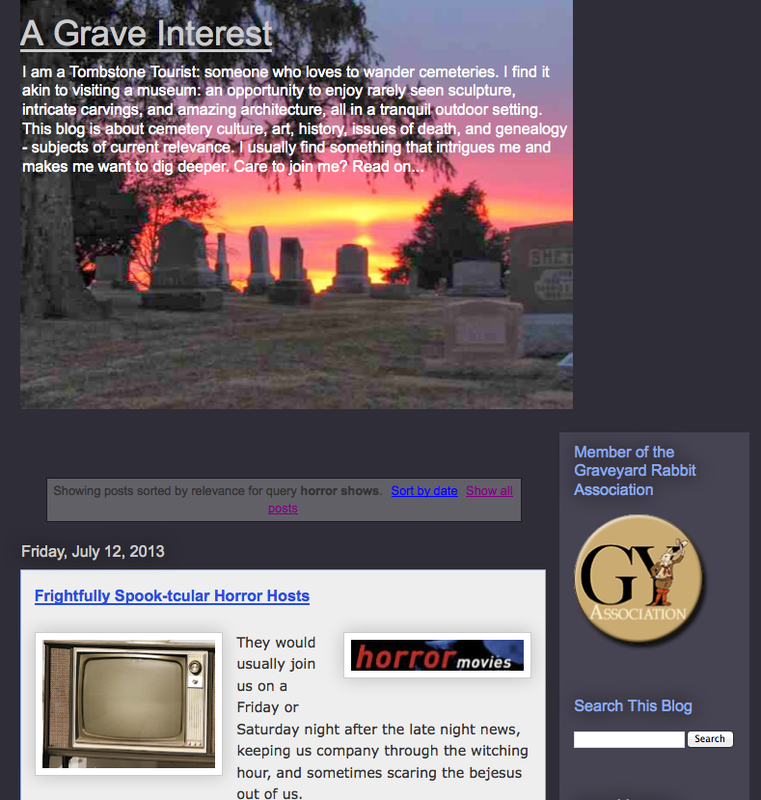 Last summer, I wrote two blog posts about horror show hosts. 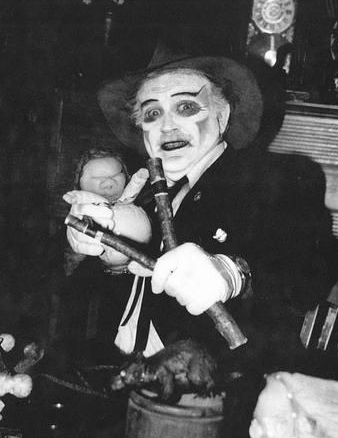 Many readers wrote back about their favorite memories of local horror hosts and it became apparent that these “emcees” of the darkness were well loved. Many horror hosts became American icons dressed in costumes, trading barbed comments with other cast members, the television crew, or inanimate objects before introducing the B-grade horror movie of the night. These “thrillers” were the mainstay in the late 1950’s, 60’s and 70’s, and every TV station seemed to have a happenin' “Horror Host” during these years. 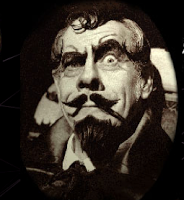 The role of horror host was usually filled by someone who worked at the TV station; the weatherman was a favorite, a booth announcer, film editor, or someone from the late night news cast. This was low-budget television at its best. 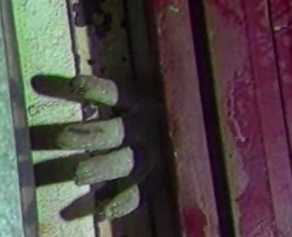 All you needed was some grease paint, a costume, low lighting, and spooky music to set the mood. The fact that the host wasn’t afraid of vamping it up was a definite plus. In 1957, Screen Gems released some old Universal horror movies syndicated to television, and the “Horror Host” was born. The name given to the syndicated show was “Shock” and local television stations were encouraged to use hosts dressed in the horror theme. It was a death-defying hit! 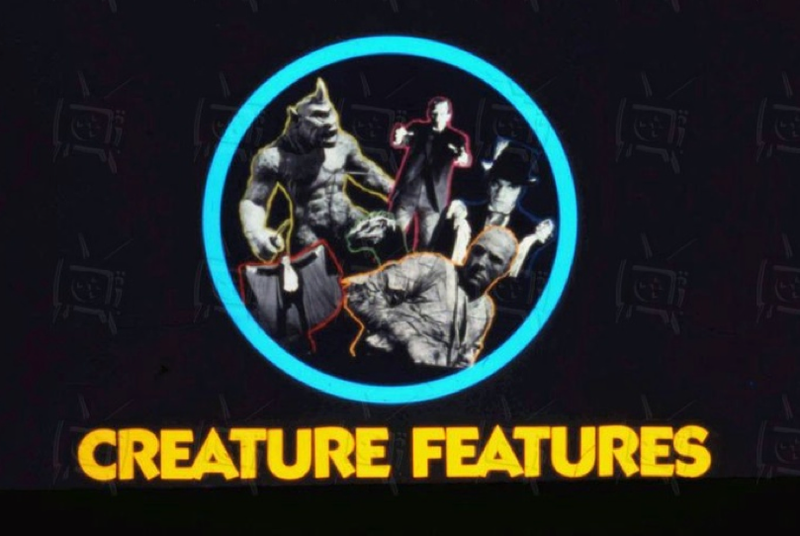 Then in the 1960s and 70s, Creature Feature packages were released and included, not only horror films but science-fiction from the 50’s, British horror films of the 1960s, and those great Japanese monster movies with English-dubbed sound tracks. By the early 70’s these true “shock” jocks had learned how to deliver a high-energy show on a low, low budget simply by providing a dry wit and cool patter. 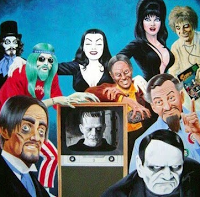 By the end of the 1970’s, over 200 horror hosts roamed the late night television airwaves: A tradition that continued into the 1980s before dying a slow death at the feet of the cable and satellite channels. But some fans won’t let their old favorites … die. 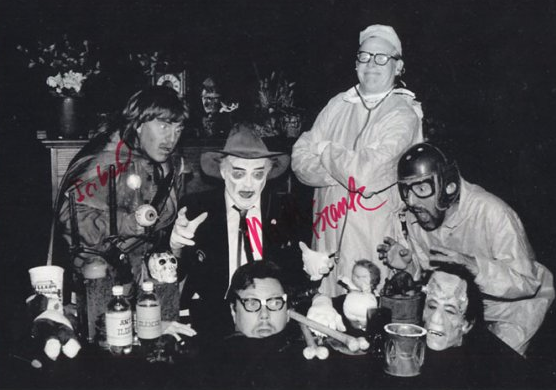 One example is Madd Frank, a popular monster movie host from 1985 to 1995 in Fargo, North Dakota. 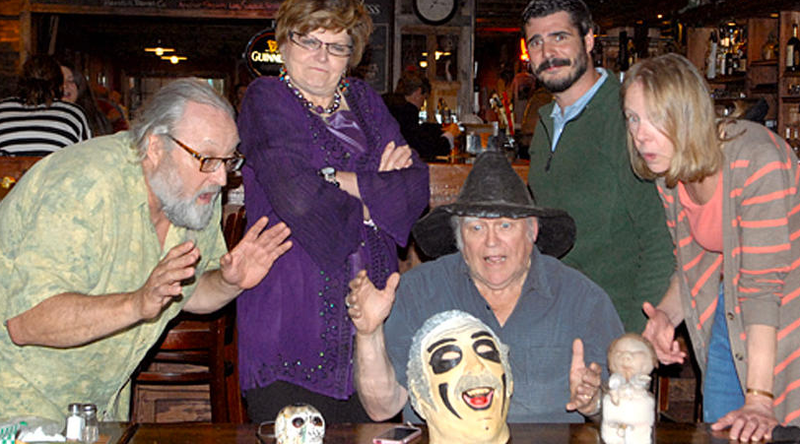 “Madd Frank Presents” showed B-grade horror movies every Friday and Saturday night. The show lasted for ten year before eventually going into syndication across the country; but a few years later lost its impact when infomercials took to the air. Del Dvoracek was Madd Frank, and over the years he developed a cult following around the country. After the show died a final death, fans decided that they were not content to just let it rest in peace. Madd Frank has been resurrected and is now becoming the subject of a documentary being produced by fans in Bemidji, Minnesota. 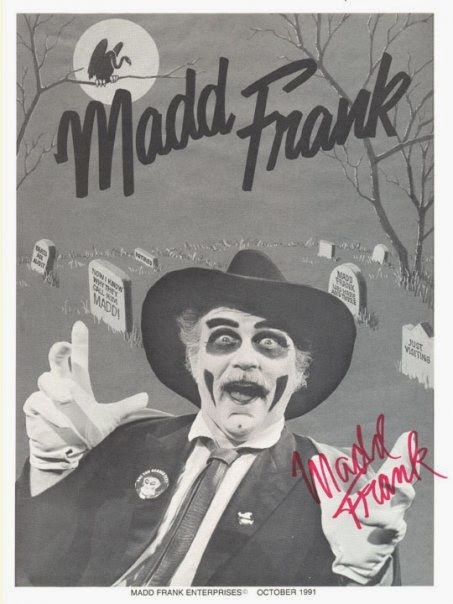 Madd Frank was a favorite of producer Mike Bredon, and he decided that a 2-hour program about the original show and cast was in order. That’s why there is a Kickstarter project that has been developed to collect $12,000 for the making of the Madd Frank documentary. The entire cast including Madd Frank (Del Dvoracek), Programmer (James Erickson), Ichy Bodd (Martin Jonason), Billy Jabber (Dave Prentice), Dr. Phil O’dendron (Bill Flint), and Vanilla White (Judy Rae) have all agreed to take part. The documentary will consist of modern interviews with the cast, interspersed with archival footage of the show. Once the documentary is completed, the team hopes it will be aired at the 15th annual Fargo Film Festival next March. So far, the project has over 50 backers and has raised one-quarter of the needed funds. But there’s still time to get involved: the project doesn’t close until Monday, August 4th. Here’s wishing “Ghoul Luck” to all involved!